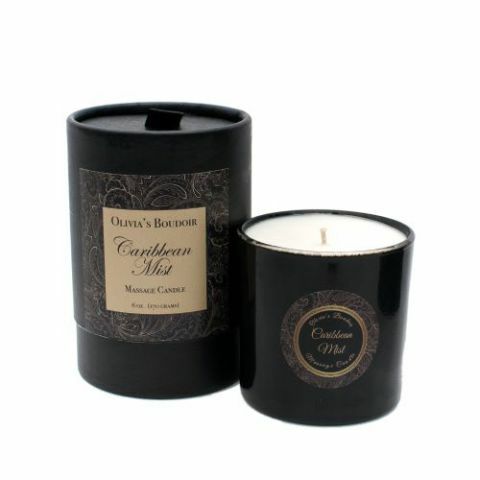 Olivia's Boudoir Massage Candle Caribbean Mist 6.5 ounces. Massage Candles set the mood with sensual aromas that fill the room. Light my fire! If you have Love and romance in mind, then you have just found the ultimate product to enhance the evening. Indulge your partner with the mesmerizing glow of the candle light, the drizzle of warm oil cascading down the skin and the magical scents make the romantic evening even more memorable. 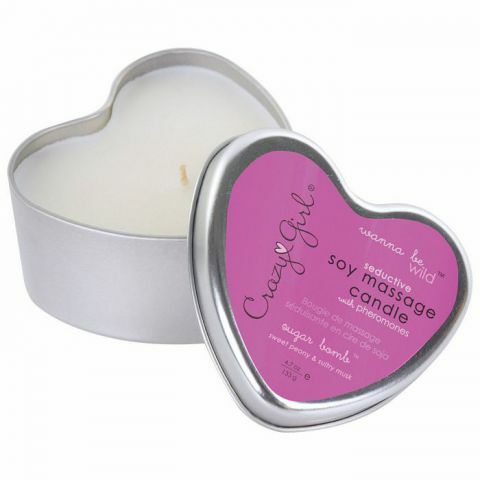 All our Massage Candles are made from pure Soy, Olive and Coconut oils. Each is hand poured. Soy candles burn slowly and cool, making them ideal for massages. Paradise found with the dreamy and luscious scent of fresh mango intertwined with tropical coconut. Fill the room with these exotic tropical fragrances. Allow the candle to melt to the outer edge of the glass. Extinguish the flame, dip into the liquid pool of warm oil and drizzle the warm oil onto your partners skin for a sensual and soothing massage. Nutrient rich Soy, Olive and Coconut oils contained in these Body Massage Candles will soften, hydrate and rejuvenate your skin leaving it lightly scented and moisturized. 10 ounces shipping weight. 70 hour burn time, without dipping.